and, being the start of the month, it’s a colour challenge. Cream, Yellow and Pink. I’ve played with the gorgeous Butterfly Girl #2, Round In Circles, Weed Love and Antique Botanicals. Butterfly Girl is one that has caught my eye for a long time. 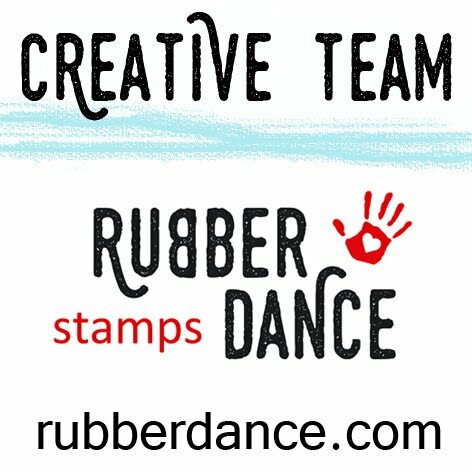 A reminder that Rubber Dance will ship stamps for FREE, anywhere in the world on orders over 15 Euro! or, if you are in Australia, check out my Etsy shop. Just a note to let you know that I have changed my blog from blogger to wordpress. I’m really happy with the change but this means that there are no longer any ‘followers’ list. If you like what I do and would like to follow – I have a ‘subscribers’ option on the right side-bar. Thank you to everyone who has followed me over the years and I hope that you subscribe for future posts.